We strive to be a low risk, high reward company for our customers. 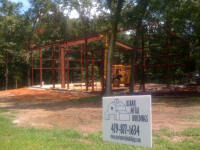 "Red Iron" is a nickname for Pre-Engineered Steel Buildings. This style of construction uses big solid web I-Beams to span the width. 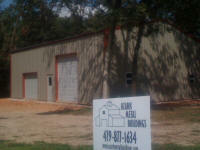 These are commercial buildings and are best suited for 50' to 120' wide. Red Iron Buildings are what is called a "pinned design" in engineering-speak. That means that it requires big concrete piers in the ground to pin it from spreading. A Red Iron Building usually costs more per square foot to build; however, they hold their value well. Typically, Red Iron Buildings are less expensive per square foot the bigger they get. 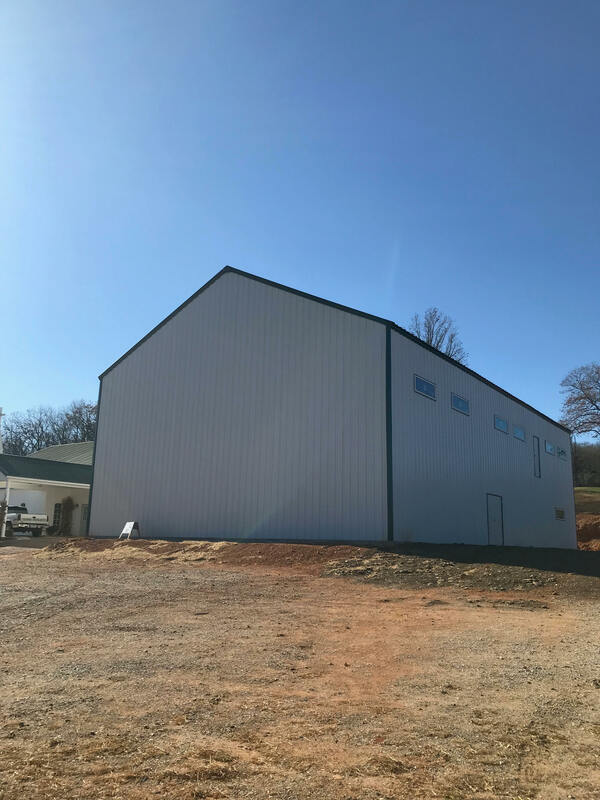 They are the building of choice for Airplane Hangers, Crane Buildings, Riding Arena's, large Strip Malls, multistory, or anything that is just big. Red Iron Buildings are typically insulated with 3" thick PSK faced fiberglass roll insulation. The 3" gives a pre installed R-10 value. Most business owners in Arkansas would refer to this as a well insulated building. You have the option to do more. We offer the PSK backed fiberglass roll insulation in 4" thick that gives a pre installed R-13 value and 6" with a pre installed R-19 value. Typical construction letter and why you need one. Just about any wind load or snow load desired can be had in a Red Iron Building. One characteristic trait of a Red Iron Building is that they are more complicated to finish out the interior. Red Iron Buildings can have a dirt floor, like for a riding arena. We will install large concrete piers in the ground for the main frames. The pier sizes will be determined by the buildings horizontal reactions. This piers-only design is often used for big-roof-only buildings used for equipment storage. Piers and Footer is another option. The piers hold the building in place and the footer seals up the building. It is possible to heat and cool a building that still has a dirt floor. 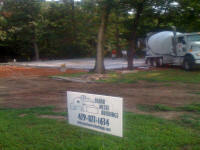 Piers, Footer and Concrete Floor is the more traditional route for a commercial building. 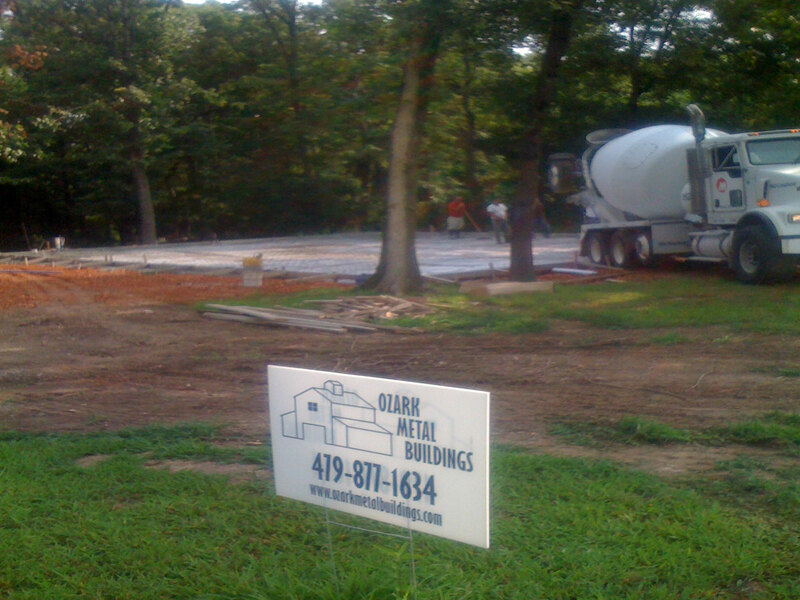 If pulling a 80,000 pound semi into your building is in your future, we can build your floor to handle it. Our typical severe duty concrete floor consists of having a 4" rock base finely graded; a 6 mil thick poly vapor barrier; #3 Rebar held in proper position with chairs; on a 2' x 2' grid pattern, 3,500 pound concrete mix at least 6" thick. Control joints cut in while the concrete is still green; keeping the sections less than 400 square feet each. This formula is heavy duty and screams "bring it on". I, Scott Yarbrough, am so old that when I first got into pre-engineered buildings we used books, not computers to price them. Back then every manufacturer had their own take on how to engineer a steel building. 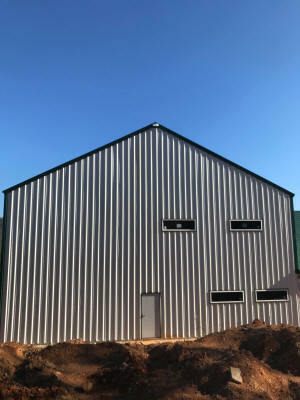 Each manufacturer had their own size of purlins, their own panel profiles, their own haunch connections, etc. If you wanted to add onto an existing building, and wanted it to match perfectly, you had to go back to the original manufacture and pay through the nose. They had you. 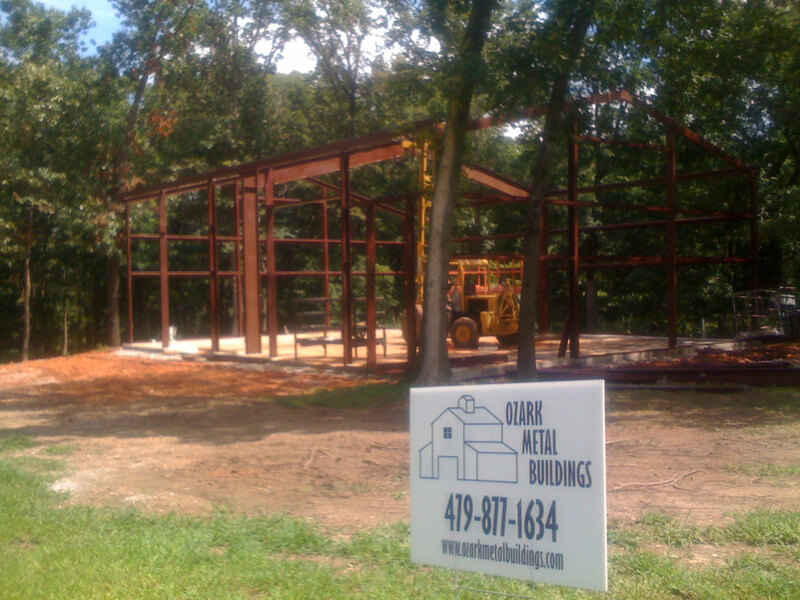 During the mid 90's the invention of Metal Building Software created an industry standard. I was hesitant of MBS at first, because I had already learned seven different in-house software programs. However, being one of the very first people to learn MBS, at one of the very first companies that gave them a shot, has turned out to be invaluable to me. That same industry standard still holds true today. This allows me to add onto almost any existing building and not beholden to any one manufacturer. By knowing the MBS program like the back of my hand allows me to create distinctive looking buildings, while still being economical. These steel buildings can be manipulated like an old girlfriend, or boyfriend, whatever the case may be. By just moving standard economical parts around, a person can create a "T" shaped building with differing eave heights; an octagon or something amazing without having to go through the added expense of an Architect (not that there is anything wrong with hiring an Architect). There is a lot more to getting the customer exactly what they want, at an economical price, than just shooting off a quote request to another state and seeing whatever comes back. Some manufacturers buildings go together easier than others. Some have really good drawings that help, and some have drawings that are just confusing. Some companies have really good customer service. Some manufactures are less than honest about delivery times. With experience comes confidence. 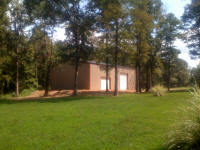 I have built so many different brand buildings, I am confident that no matter what, I can make the building look great. So if you have already bought a building from out of state, I can put it together for you. If you got caught up in one of those deposit forfeiture schemes, I may not like the sales tactic that was used on you, but I can build that building for you. And make it look great! ©2017 Ozark Metal Buildings | Another DesignWorks Creation.